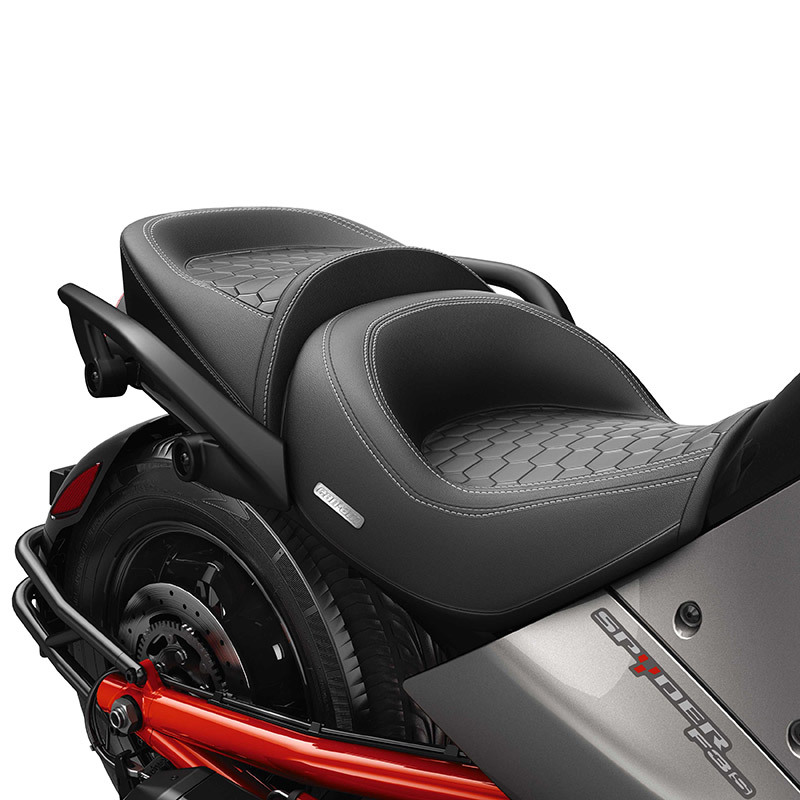 Can-Am Spyder F3 Cannonball seat -2-piece driver and passenger seats, designed with additional padding, larger support areas and integrated comfort rear pad. 2-piece driver and passenger seats. Designed with additional padding, larger support areas and integrated comfort rear pad.